Opaleye Management Inc is an investment adviser with its main office in Cambridge, Massachusetts. 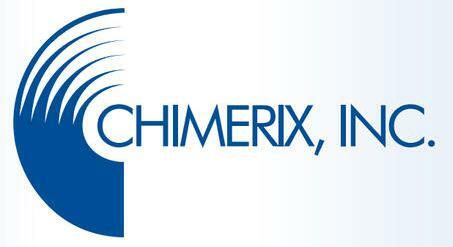 The firm’s third quarter SEC 13F filings for the period ended September 30, 2014, showed that Chimerix Inc (NASDAQ:CMRX), Pharmacyclics, Inc. (NASDAQ:PCYC), and Retrophin Inc (NASDAQ:RTRX) were its top three holdings. Pharmacyclics, Inc. (NASDAQ:PCYC) came out the second largest investment of the firm for the third quarter, with investment worth $9.98 million. Pharmacyclics, Inc. (NASDAQ:PCYC) is a company that designs, develops, and sells novel therapies intended to better the quality of life of users, increase lifespan, and provide medical solutions to serious healthcare needs. The company’s third quarter earnings per share were 53 cents, beating Zacks Consensus Estimate of 45 cents. However, that figure was lower than that of the same period the previous year which was 55 cents per share. The top three shareholders of Pharmacyclics, Inc. (NASDAQ:PCYC) are T. Rowe Price Associates, Inc., Baker Bros Advisors LLC, and Columbia Mangmt Investment Advisers, LLC. Retrophin Inc (NASDAQ:RTRX) was the third largest investment of Opaleye Management Inc, accounting for investment worth $9.02 million in value. Retrophin Inc (NASDAQ:RTRX) is a company that discovers and develops drugs for the treatment of diseases that are catastrophic in nature, and that are debilitating and mostly life threatening. The top three institutions holding the biggest chunks of the shares of Retrophin Inc (NASDAQ:RTRX) are Jennison Associates LLC, Broadfin Capital, LLC, and Perceptive Life Sciences Master Fund Ltd.